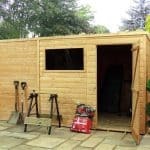 Make a statement with this grand garden workshop where you will comfortably spend hours potting plants and enjoying some quiet time away from the noise and bustle of life! 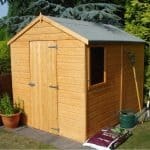 This is a premium product with the very best tongue & groove cladding giving it a superior build and crafted from long lasting, hard wearing wood means that this will last a lifetime. 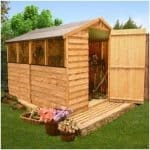 Complete with large double doors even the biggest pieces of equipment and furniture will fit inside with ease. 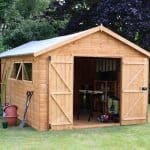 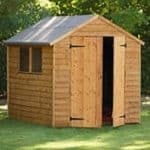 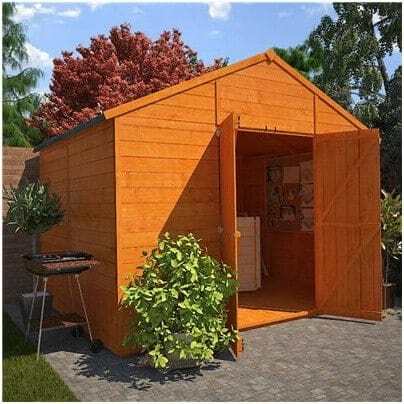 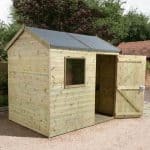 Ideal for large gardens or very keen garden enthusiasts and with enough space for storage and pottering, not to mention relaxing – this is a real feature product.